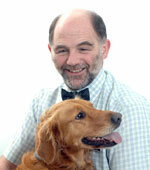 Peter joined the practice in 1993, having qualified from the University of Cambridge in 1981. Peter was born and brought up in Tavistock, and followed his father’s footsteps into the veterinary world. He now lives just over the border, in Cornwall, with his wife Heather and their 2 children, Elspeth and Callum, together with their Golden Retriever Inti, 2 cats, and numerous goats, chickens and other livestock. Peter is interested in dermatology, cardiology and ophthalmology and is a Practice Director alongside Karen Tyrrell. In his spare time he enjoys sailing, woodworking, cycling and is trying to emulate his children by learning to unicycle following their C2C adventure in aid of the British Heart Foundation. Peter and Callum have also taken up dancing with Wreckers Border Morris (sticks – no hankies!) – you may see them out and about. Update – Pete has retired as of September 2018 to concentrate on his many hobbies, he will be missed but I am sure we will be seeing him often. Have a good one Pete. Drakes has been passed on to the current director (Karen Tyrrell) and incoming directors Chris Jones and Dermot Clarke to maintain Drakes as one of the very few independent practices left. Chris joined Drake Vets in October 2011. He qualified from the University of Bristol in 1999 and has been practicing on his home turf in West Devon for the last 18 years. He completed his GP certificate in Ophthalmology in 2010 and has a particular interest in medical and surgical eye conditions, especially those of the cornea. Chris also has a keen interest in soft tissue and bone surgery including fracture repairs and cruciate rupture repair techniques. . He is married to Catherine (also a vet) and they have 2 young sons, as well as numerous animals. He enjoys walking with their dogs and is attempting to rebuild an old MGB GT which is taking some time, it starts now but is still on blocks! Dermot has been with us since May 2017 and is an experienced vet who has an interest in ophthalmology and is currently working towards his PGcert in this subject. Dermot is a Director of Drake vets with Karen and Chris. Emily joined the practice in August 2011. She grew up in Devon before moving to London to train at the Royal Veterinary College. Having qualified in July 2011, she returned to the westcountry and became part of the team at Drake Vets. She enjoys all aspects of Veterinary work and is particularly interested in feline medicine. In her spare time she enjoys walking on the moors and cycling. Katie joined us in January 2018, she has been working in a busy Plymouth practice for the past 4 years and has decided to join us at Drake Vets. Katie has a strong interest in all aspects of dentistry and general practice. Karen joined the practice in November 1994. She is our Practice Manager and Company Director, with responsibility for all aspects of accounts, administration and the daily running of the practice as well as nursing. Karen has a variety of different pets including chickens, ducks and rabbits. Away from work Karen’s time is spent with her family and her 2 young children. 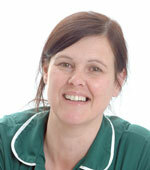 Jo has recently joined us as our new head VN and is settling in well. Jo is an experienced local nurse who recently has been part of setting up and running the Plymouth streetvets charity helping with homeless peoples pets. 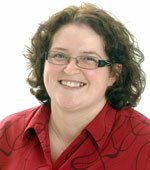 Kate joined the practice in October 1996 and is our main receptionist. Kate is also responsible for our orders, stock, and the reminders for vaccinations and worming. She spends her spare time with her husband and young son, and walking the family dogs. Tracy joined the practice July 1994 and is involved in animal and nursing care, reception and responsible for all the pet insurance claims. In her free time she is involved in wildlife rehabilitation and dog re-homing. Tracy has rescued numerous pets over the years and currently has 13 canine friends. Laura joined Drake Vets in August 2011 and has qualified as a veterinary nurse during her time at Drake Vets (and Duchy college). She enjoys all aspects of veterinary nursing, having a particular interest in inpatient care, theatre and laboratory work. In her spare time she enjoys walking her Red Setter Ruby and looking after her six call ducks. Kirsty rejoined us in early 2016 and is one of our senior Veterinary Nurses responsible for nurse training. Kirsty has a keen interest in anaesthesia and nurse clinics. Louise has been with us since she was a student and has been qualified since the end of 2014. 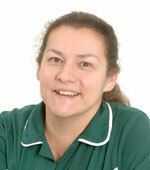 Louise has an interest in endoscopy and also is currently responsible for running our new Tavistock branch. Photos and more staff information to follow. 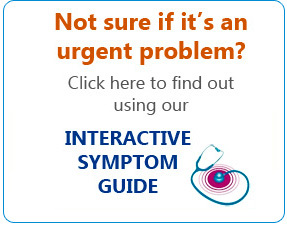 See our Contact Us page for our appointment times and call Drake Vets on 01822 854 255 to book.